At 5.37 p.m. on 16 February 1986 the Soviet cruise liner Mikhail Lermontov hit rocks off Cape Jackson in the Marlborough Sounds. With its hull sliced open in three places, the 155-m vessel limped towards Port Gore, where she finally sank at 10.45 p.m. A flotilla of small craft, the inter-island ferry Arahura and the LPG tanker Tarihiko rescued all but one of the 738 passengers and crew. Refrigeration engineer Pavel Zaglyadimov drowned. 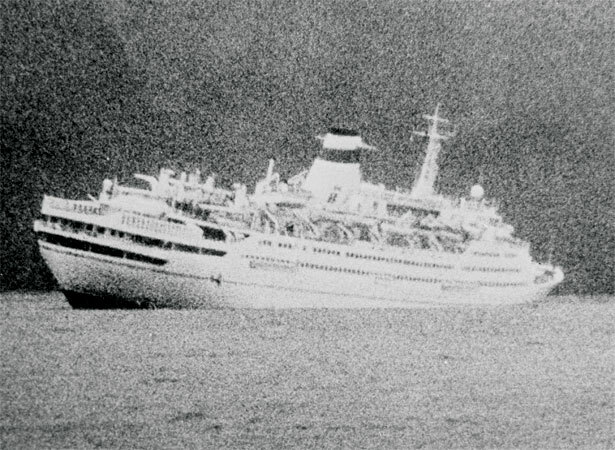 In the aftermath of the sinking, allegations circulated that the crew had left passengers bewildered and without proper instructions during the initial evacuation. Most of the elderly passengers aboard the Mikhail Lermontov were Australians. Soviet diplomats shielded the ship’s captain, Vladislav Vorobyov, from the press; he later told Soviet television that Picton’s harbourmaster, Don Jamison, was responsible for the vessel’s course. Jamison accepted his mistake, blaming it on mental and physical exhaustion. Today, the wreck of the liner lies on its side 30 m below the sea, and has become a popular dive site. We have 8 articles, related to Sinking of the Mikhail Lermontov.